Music Director Carl St.Clair leads the Pacific Symphony, Pacific Chorale and soloists in Mahler’s Symphony No. 2, his massive tribute to eternal life. The concert also honors Pacific Chorale Artistic Director John Alexander, who is retiring after 45 years (but only from the Pacific Chorale, as Timothy Mangan notes — see below). BONUS: Read Paul Hodgins’ article in the Orange County Register HERE. Timothy Mangan, the Pacific Symphony’s Writer-in-Residence, has an appreciation for Alexander HERE. Vladimir Spivakov conducts the orchestra he has led since 1979 in a varied program that includes music by Mozart, Shostakovich, Bruch, Poppers, Grieg and others. Israeli cellist Danielle Akta and soprano Hibla Gerzmava will be the soloists. John Sutton leads his ensemble in a program of American music entitled “A Musical Bite of the Big Apple: from Broadway to Bernstein,” which includes Bernstein’s Chichester Psalms and selections from West Side Story. Frank Fetta leads the Culver City Symphony in a program that includes Aaron Copland’s Quiet City, William Grant Still’s Danzas de Panama, Mozart’s Symphony No. 29 in A Major, and Haydn’s Cello Concerto, with Leah Hansen as soloist. Former Long Beach Symphony Music Director JoAnn Falletta returns “home” for the first time to conduct the orchestra that she led from 1989-2000. The program begins with four movements from Shostakovich’s The Gadfly Suite, arranged for the 1955 Soviet film The Gadfly, based on the novel of the same name by Ethel Lilian Voynich. LBSO Concertmaster Roger Wilkie will be the soloist. The evening continues with Falletta’s own compilation of Prokofiev’s Suites 1-3 from his ballet Cinderella. After intermission, 21-year-old pianist George Li will be the soloist in Tchaikovsky’s Piano Concerto No. 1. BONUS: The Terrace Theatre can be reached easily via Metro’s Blue Line. Exit at 1st Street, walk two blocks south and cross Ocean Blvd. to reach the theatre. Read Richard Guzman’s article in the Long Beach Press Telegram HERE. The Los Angeles Philharmonic’s New Music Group joins with The Industry to conclude the Phil’s “Green Umbrella” series with a performance of this work by Lou Harrison, whose 100th birthday would have been May 14. Harrison was a composer whose works have been celebrated by a few hardy souls (mostly on the west coast where studied and later taught) if not always elsewhere. The Angeles Chorale opened its 40th anniversary season by reprising one of the most popular concerts in the ensemble’s history, an evening of Gospel music. It proved to be a savy choice; the performers (including a sizzling sextet of instrumentalists, two soloists and the chorale’s be-bopping artistic director, John Sutton) were hotter than the sweltering non-air conditioned sanctuary of the First United Methodist Church of Pasadena. For one of the rare times, the marketing tagline, “Unbridled Joy!” nailed it. The 54 singers in the Pasadena-based chorale wore multi-colored casual tops and sang about 80 minutes from memory (the program, performed without intermission lasted a little over two hours). The chorale’s diction was so impressive that even though the texts were printed in the program that was a waste of paper except for when baritone soloist Darnell Abraham sang. Freed from the shackles of holding music scores and/or folders, the singers — with a couple of exceptions — bounced and swayed to the music with joyful exuberance on their faces as did Sutton, who was fully in charge throughout the performance. It wasn’t how an African-American choir would have sung the program but it was exciting and performed with a high degree of polish. After 20 minutes or so, the audience got into the swing of things. Part of the early lethargy was the heat both outside and inside (Sutton suggested people think of the evening as a Richard Simmons workout and fan with their programs in time with the music). However, when Tenor Saxophonist Ramsey Castaneda, soprano Eyvonne Williams and the chorale performed a gripping rendition of Mark Hayes’ arrangement of Here’s One, everyone was hooked. By evening’s end (an encore written and led from the piano by Byron Smith) all were on their feet stomping and screaming. The instrumental ensemble — Castaneda, pianist Byran Pezzone, Moses Sun on guitar, Sean Barrett bass guitar, Greg Mathieson on a Hammond B-3 organ, and Bryan Taylor on a drum set — played wonderfully, especially in Robert Ray’s Gospel Mass, which concluded the formal portion of the program. As heard from a balcony seat, the instrumentalists occasionally overpowered the choir and Abraham, but when 50+ singers from the Azusa Pacific University Choir joined the Angeles Chorale for the last three pieces of the Gospel Mass the balance evened out nicely. Pezzone offered a nicely nuanced bridge to help the choristers get into the choir loft and each of the instrumentalists played hot jazz riffs during the final portion of Gospel Mass. The evening was dedicated to the memory of Justin Carr on what would have been the former Harvard-Westlake student’s 18th birthday. The Altadena resident (he and his family lived next to Sutton and his wife) died from an undiagnosed case of idiopathic hypertrophic cardiomyopathy while in a swimming workout on Feb. 22, 2013 at the school. After a screening of a CBS-2 Emmy-award winning news segment on the tragedy, Carr’s parents, Darnell Carr and Susan Toler Carr, came on stage and discussed the Justin Car Memorial Fund (www.justincarrwantsworldpeace.org). Perhaps the most meaningful moment was the revelation that a San Fernando Valley high school had tested their student-athletes and discovered one with the disease before it could result in the kind of tragic accident that killed Justin. For the record: the other pieces performed were Wondrous Love, Ain’t Got Time to Die, Lord I Know I’ve been Changed, and City Called Heaven. • Although I realize the concert was a significant event in the chorale’s history, the constant running around of the videographers and photographers proved to be distracting. We’ve arrived at that odd time of the classical music year when outdoor concerts are winding down while at the same time indoor seasons are beginning to ramp up. 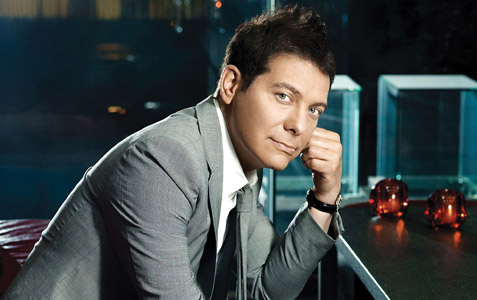 • Michael Feinstein and the Pasadena Pops Orchestra wrap up their 2014 summer season Saturday night at the Los Angeles County Arboretum with a program entitled, “New York! New York!” The evening will include music by Leonard Bernstein (Candide Overture, West Side Story, On the Town and Wonderful Town), several songs by Duke Ellington, and works by Stephen Sondheim and Cole Porter. As is usually the case with a Feinstein concert, there will be several revivals among the offerings. Vocalists Patti Austin, Liz Callaway and Aaron Tveit will join the fun. • Hollywood Bowl wraps up its classical season during the next couple of weeks. Ludovic Morlot, music director of the Seattle Symphony since 2011, returns to the Cahuenga Pass amphiteatre this week. Tuesday’s concert combines Mendelssohn with Mozart. Thursday’s performance features Colburn Conservatory student Simone Porter, who made an impressive debut with the Pasadena Symphony earlier this year, soloing in Samuel Barber’s Violin Concerto. Jessica Gelt has a profile of Porter in the Los Angeles Times HERE. The final Tuesday concert (Sept. 9) will be led by Vancouver Symphony Music Director Bramwell Tovey. The program will open with the world premiere of Erskine, a concerto for drum set and orchestra, written by English composer Mark-Anthony Turnage for percussionist Peter Erskine, who will appear as soloist. Holst’s The Planets will conclude the evening, accompanied — as is now almost “de rigueur” — by imagery from NASA and JPL rovers and satellites, despite the fact that Holst’s musical depiction was astrological rather than astronomical. On Sept. 11, Spanish conductor Juanjo Mena will lead Bernstein’s Symphonic Dances from West Side Story and Beethoven’s Symphony No. 9, with soloists and the Los Angeles Master Chorale joining the Phil to conclude the season. • Meanwhile, the Angeles Chorale begins in 40th anniversary season on Sept. 13 at First United Methodist Church in Pasadena. Artistic Director John Sutton will lead his chorale in “Unbridled Joy: an Evening of Gospel, Spirituals and More,” which will feature a performance of Robert Ray’s Gospel Mass. Two vocal soloists and several instrumentalists will join the chorale in the concert. The concert will spotlight the “Justin Carr Wants World Peace” Memorial Foundation, established in memory of the then-16-year-old Altadena resident who died of cardiac arrest during a swimming workout in 2013. • First Congregational Church of Los Angeles kicks off its 46th annual organ concert series with a weekend devoted to its multiple organs, which together total 346 ranks, 265 stops, and 18 divisions — more than 20,000 pipes in several locations around the massive gothic sanctuary (modeled after Chartres Cathedral in France). Fred Swann, former organist at First Congo and former president of the American Guild of Organists, will give a master class on Sept. 13 at 10 a.m. That evening at 8 p.m., three notable college grad students — Jaebon Hwang, Minh Ngyuen and Qi Zhang — will play a free recital. The following afternoon will be an “organ crawl,” a chance to get an up-close look at the workings of this massive instrument. Advance tickets at $25 are required for the organ crawl; the other events are free. Michael Feinstein will open his second season as the Pasadena Pops’ principal conductor on June 7 at the Los Angeles County Arboretum. We’re at that odd time of the year for classical music when seasons collide. In June we’re wrapping up indoor seasons and beginning the outdoor concerts that are so much a part of Southern California life and, unfortunately, they all collide next weekend. A shorter version of this story was printed today in the above newspapers. March 29 at 2 p.m. and 8 p.m. Preview one hour before each performance. 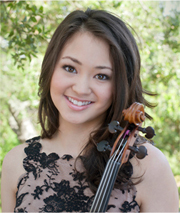 For more than a quarter-century the Pasadena Symphony has distinguished itself by discovering young, talented soloists. Earlier this year 13-year-old pianist Umi Garrett soloed in Chopin’s Piano Concerto No. 1. For the PSO’s programs on March 29 at Ambassador Auditorium, a “grizzled veteran,” 17-year-old violinist Simone Porter (pictured right), will join the orchestra and guest conductor Andrew Grams for a performance of Max Bruch’s Violin Concerto No. 1. The concerts will open with William Bolcom’s Commedia for (Almost) 18th Century Orchestra and will conclude with Beethoven’s Symphony No. 5. Porter’s PSO appearance is one of several important local concerts for her this year. On April 27 she will play Beethoven’s Romances 1 & 2 with the Pacific Symphony, led by Carl St.Clair, at the SOKA Performing Arts Center in Aliso Viejo. On Sept. 4 she will make her Hollywood Bowl debut as soloist in Samuel Barber’s Violin Concerto with the Los Angeles Philharmonic conducted by Seattle Symphony Music Director Ludovic Morlot. A native of Seattle, Porter studies with Robert Lipsett at The Colburn Conservatory of Music in downtown Los Angeles. She is also part of Colburn Artists, a program created in 2012 by The Colburn School to provide professional management services to its most-accomplished students. Meanwhile, two area choral groups resume their seasons this week.